Driving a truck can be stressful. In addition to the actual driving of the vehicle and managing the business requirements, one must also meet safety and other regulations. 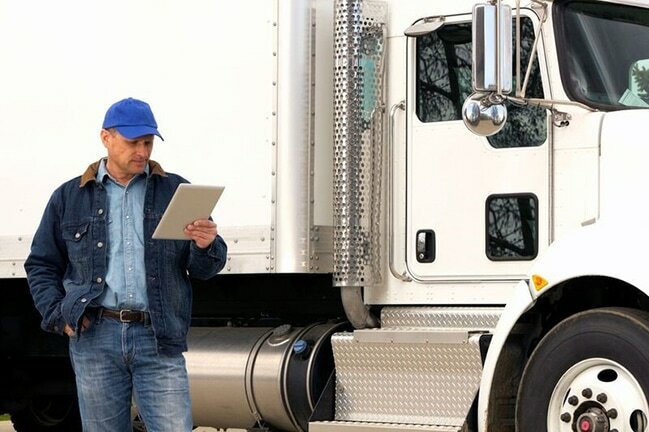 For example, the Federal Motor Carrier Safety Administration (FMCSA) rule for Electronic Logging Devices (ELD) has a looming deadline. Carriers still using paper logs must implement an ELD solution by December 18, 2017. The transition to digital recordkeeping is a cultural as well as operational shift. Paper logs have been in use since the 1930s and perhaps have a bit of nostalgia to them. However, as a possible side benefit, the infusion of technology could attract new drivers to the industry, which is suffering from a shortage of candidates at the moment. The providers of ELD systems have to meet certain specifications and have their product certified. If you wanted some “light” reading, the ELD Test Plan and Procedures document is a mere 444 pages! Luckily, users don’t need to get that far into the technology details. However, understanding a summary of specifications might be useful. Overall, the solution must share engine information and be tamper-resistant (to reduce the chance of unauthorized data alterations). The full-stack option is typically a telematics device connected to the engine data bus with the required information being transmitted to a cloud software program then accessed via a user’s computer or smartphone. Below are some of the FMCSA requirements. Of course, each provider will have a different user interface that allows drivers to record changes, note exceptions and change status. It is also helpful to provide users with a roadside inspection application along with the ELD software. The driver then is able to capture inspection data and immediately relay it back to the home office. Maintenance activity and records of compliance are then available for roadside checks and office record keeping. The ELD mandate is looming but it doesn’t have to be a shock to your company’s operations. Just remember that out of this regulated change, there are two main benefits to using ELDs for managing Hours of Service. The first is having more accurate, automated recordkeeping. The second is improved operations such as scheduling or reporting. If you would like more information on CalAmp’s Hours of Service solution, visit here. Or, leave us a comment below, email us here or call 703-262-4040.